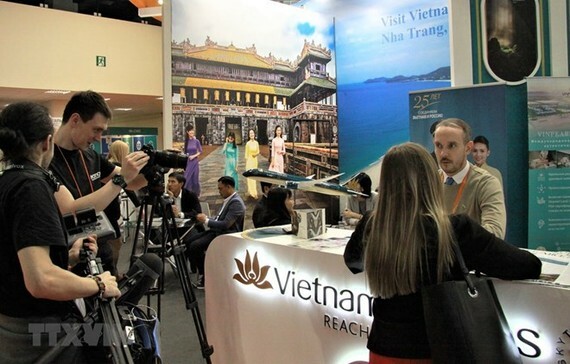 Trofimchuk shared his impression about Vietnam’s stall at one of the world’s five largest tourism fairs, saying that he took his photos on a large panel popularising Vietnam’s attractive destinations. He expressed his delight at enjoying jasmine and lotus tea at the Vietnamese booth, especially taking a photo with a Vietnamese girl wearing a traditional conical hat. According to him, the hand-made conical hat attracted more visitors to the stall, and he was one of the lucky persons to receive such meaningful gift. 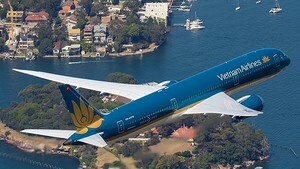 About the potential of the country’s sea and island tourism, he said with a coastline of over 3,200km, Vietnam boasts countless islands and islets such as Bai Tu Long, Co To, Cat Ba, Con Dao, Phu Quoc, Hoang Sa and Truong Sa. Apart from the UNESCO World Heritage Ha Long Bay in the northern province of Quang Ninh, resort cities of Nha Trang and Phan Thiet with white sands and luxury infrastructure are dubbed as “Hawaii Vietnam”, which are also an ideal destination for Russian tourists to relax after their six-month winter in the homeland. The Russian expert expressed his belief that Vietnam’s goal of welcoming 1 million Russian tourists by 2020 is reachable, given the beauty of its seas and islands as well as the hospitality of Vietnamese people.